Font size: the font size should be 12. Pagination: all pages should be numbered at the bottom right of the page. Length: the strict maximum is 1500 words (excluding Table of Contents, References (if any), Appendices (if any), and footnotes. 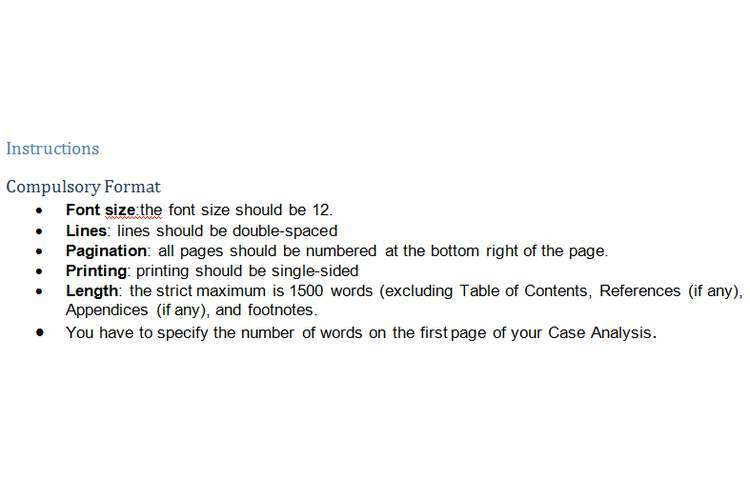 You have to specify the number of words on the first page of your Case Analysis. The Structure of your Case Analysis consists of three (3) subtitles: Introduction; Main Body; and Conclusions. Your “paper” mustspecify the subtitles (Introduction, Main Body; and Conclusions). There are different kinds of innovations such as, for example, business innovation and artistic innovations. In the Introduction you have to answer (very clearly and precisely the following question: What kind of innovation is microfinance today? (c) What is the social responsibility challenge micro-financiers should meet? Is microfinance creating a world without poverty? What is the main lesson that you have derived from thevideo by Hugh Sinclair?